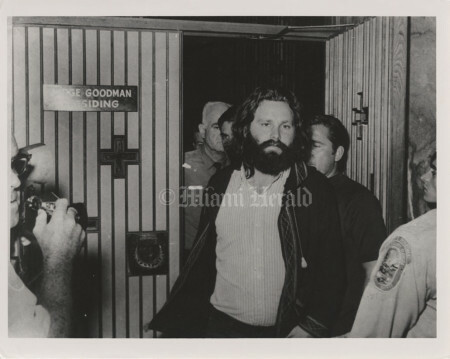 After a March 1, 1969, concert in the old Dinner Key Auditorium, rocker Jim Morrison, lead singer of The Doors, was arrested in Miami on charges he exposed himself onstage. He was convicted of indecent exposure and sentenced to six months in jail but died two years later in Paris at age 27, while the conviction was under appeal. Then Governor, Charlie Crist, gave Morrison a posthumous pardon in December 2010. 10/30/1970/Miami Herald Staff. Jim Morrison of The Doors in a Miami courtroom, with his lawyer, Max Fink, after his 1969 arrest for exposing himself at a concert in Coconut Grove. In 2010 - 41 years later - outgoing Florida Gov. Charlie Crist pardoned Morrison. Doors keyboardist Ray Manzarek's response: "The message is art, first; censorship second. The lovers and artists and poets win one more time." James Douglas Morrison died in 1971. 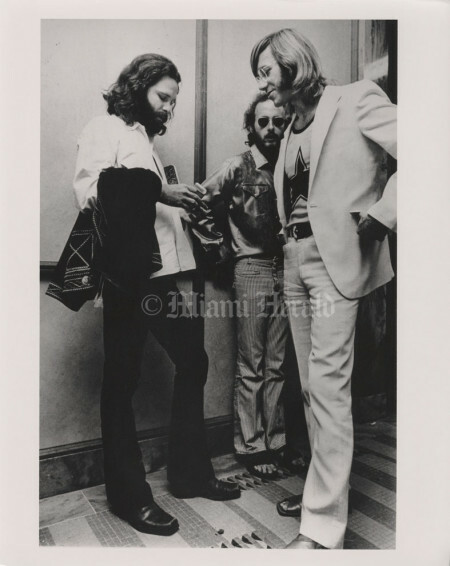 1970, John Pineda/Miami Herald Staff. 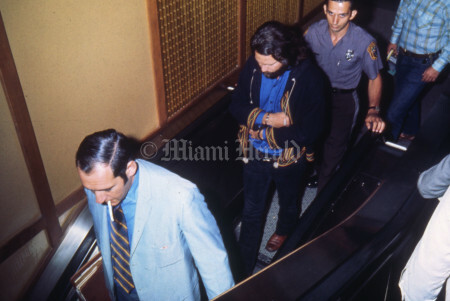 The Doors' laed singer, Jim Morrison, in the courthouse where he was tried on charges of lewd and lascivious conduct stemming from his behavior at a Dinner Key Auditorium concert in March 1969. 1970/Bill Sanders/Miami Herald Staff. 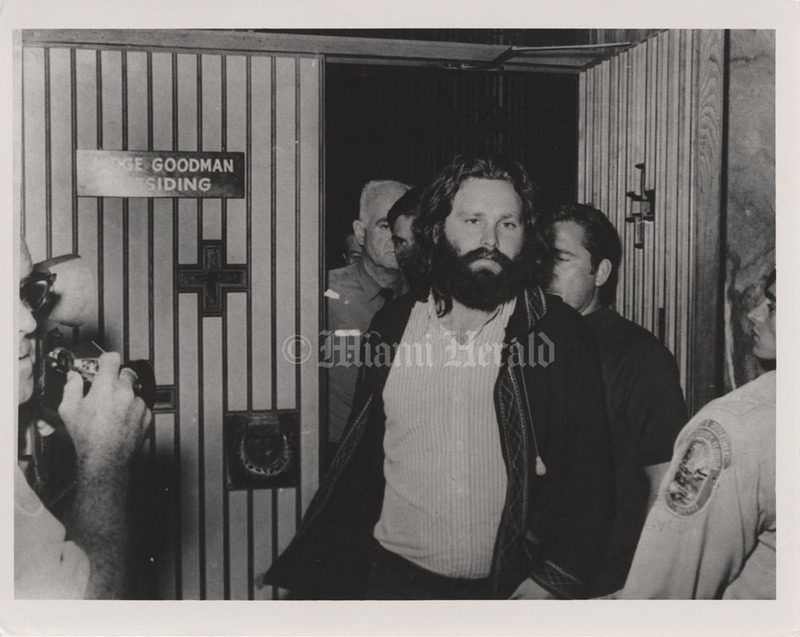 Jim Morrison leaves a Miami courtroom. 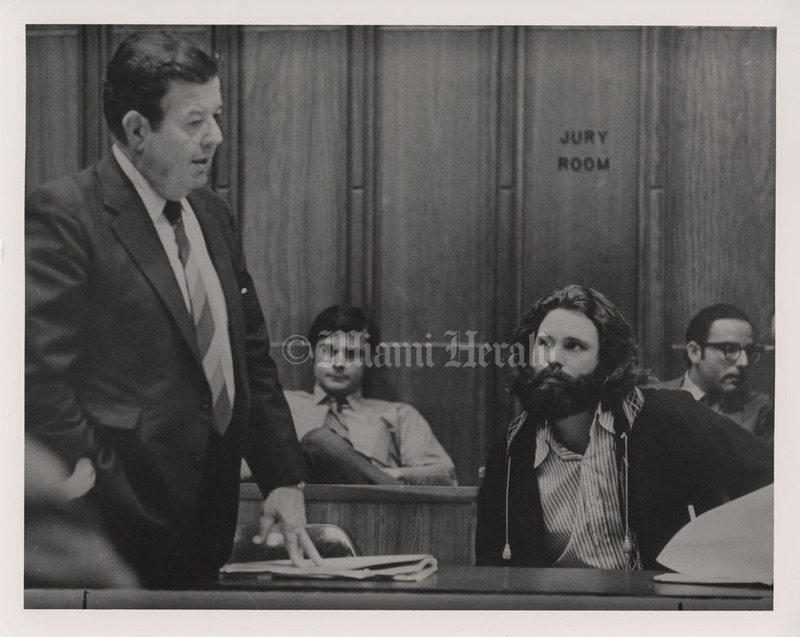 The lead singer of the Doors was on trial, accused of lewd and lascivious behavior, drunkenness, profanity and indecent exposure during a concert at Dinner Key Auditorium in Miami in 1969. 8/11/1970/Miami Herald Staff. The Doors' Jim Morrison, guitarist Robbie Krieger and keyboardist Ray Manzarek after Morrison's 1969 arrest in Miami for exposing himself on stage during a concert.